The WhatsApp broadcast lists are a function that allows us to send messages to our contacts in a massive way. These lists are useful when you have to send the same message to several people without the need to copy and paste the message between conversations and without creating a group. All the conversations that are sent through the broadcast groups are shown in the recipients as normal conversations, so none of them can know the rest of the users to whom the message has been sent. 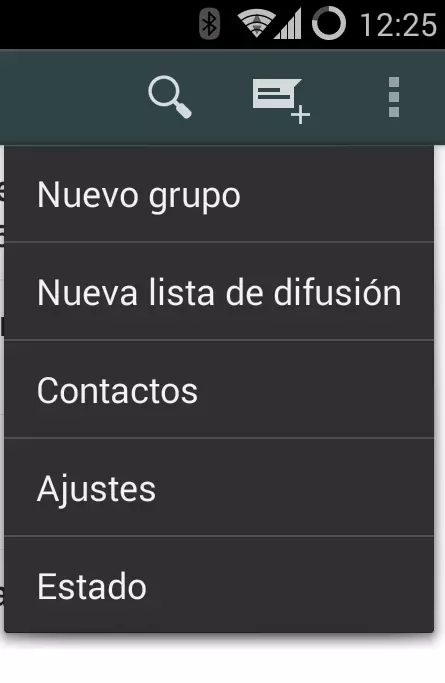 To create a broadcast list simply open the WhatsApp menu and select "New broadcast list". Once selected, a new window similar to the following will appear. In this new window we can see a box with an icon with a +. Clicking on it will open our contact list. We must select all the contacts to which we are going to send the broadcast message, creating a list that will appear in this window. 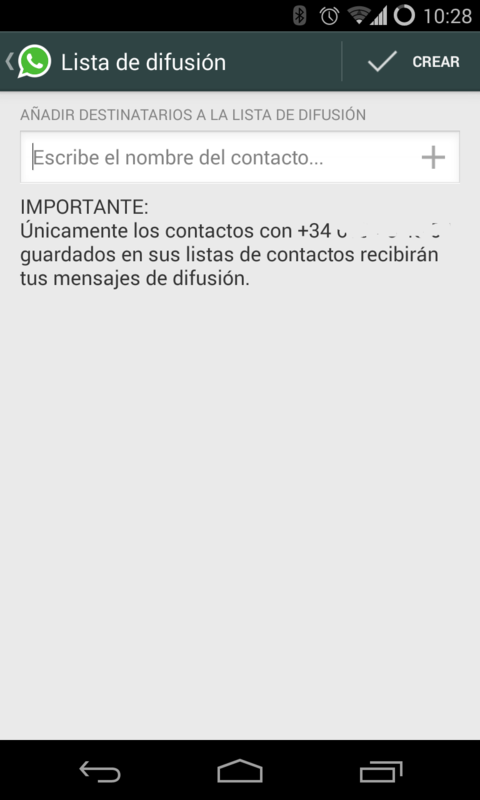 In the lower part we will see a warning that tells us that only those contacts with our number saved in the calendar will receive these messages. This is very useful especially to protect users of SPAM and massive fraudulent messages. 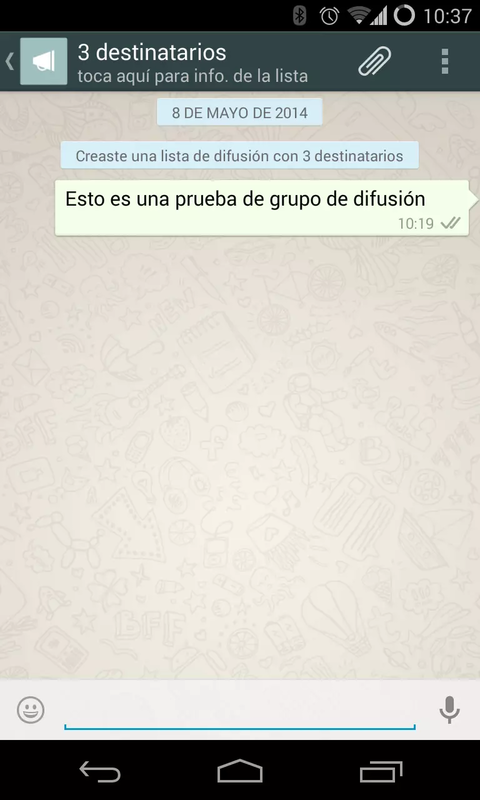 Once the broadcast list is created, we will see a window similar to that of a WhatsApp group but with some peculiarities. As we can see, the icon of the broadcast list is a megaphone instead of a pre-set photo. We will not receive answers from any contact in this window either, but each one will answer us in an individual WhatsApp conversation. If we click on the upper part of the box with "3 recipients" we will open a window similar to that of WhatsApp groups from which we can add new recipients, delete any of the existing ones or eliminate the broadcast list completely. A very useful and practical function but, nevertheless, quite little used generally by the users. What is freezing applications on Android and how to do it? What is Android Extensions and how will it affect us? What is the Google Assistant and how does it work?